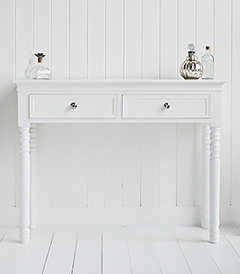 A dressing table is not just a luxury, but a necessity. We feel it is essential for a girl to take time to herself. to ensure you find a dresser to suit you and your bedroom we offer a range in varying sizes so you are sure to find one just for you. 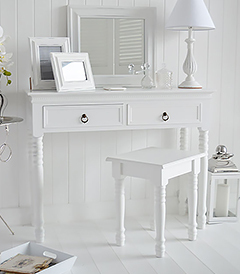 A dressing table is not just a luxury, but a necessity. At the White Lighthouse we feel it is essential for a girl to take time to herself, to appreciate herself, to sit down and relax, releasing the burdern of her day. To ensure you find a dresser to suit you and your bedroom we offer a range in varying sizes so you are sure to find one just for you. 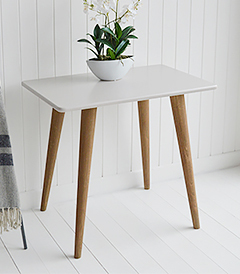 Dressing tables do not have to take up much room, the New England table offers functionality, providing storage space for make up and toiletries. 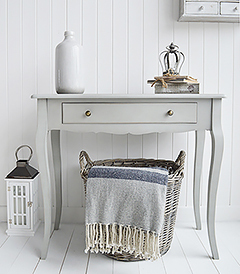 Our Scandinavian dressing table only takes up a little room and offers plenty of scandi chic to your bedroom. 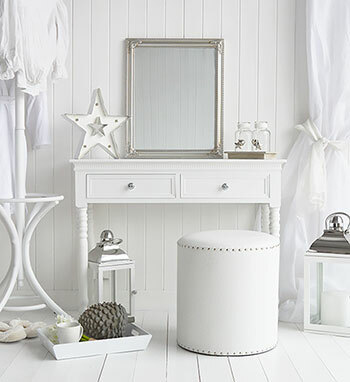 We believe it is essental for you to have as much storage as possible for all your make up and everyday essentials, this means we ensure all our dressing tables have drawers. Mirrors, stools, chairs and accessories are also avaialble to give you a beautiful relaxing space you can call your own. 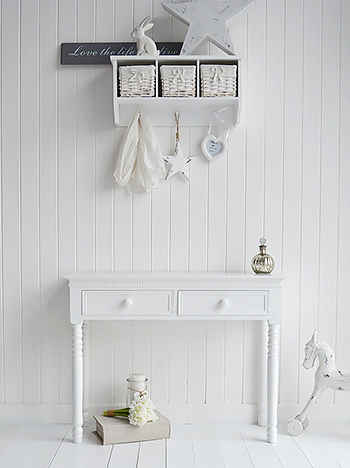 All our dressing tables are suitable for children and adults. Why not visit our "Be Inspired" bedroom section for some ideas in how dressers can give your bedroom a touch of luxury and style. 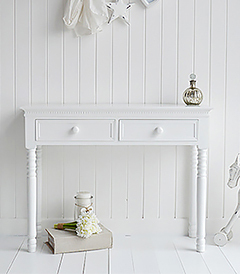 Other pieces of white bedroom furniture to complement are avaialble from the bedroom section of the website.